The SLC Counseling Associates, LLC. 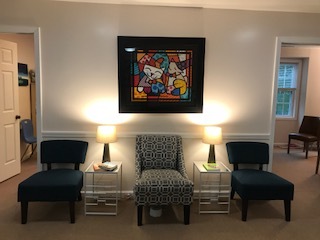 We are a small mental health practice specializing in working with children, adolescents and adults struggling with anxiety, depression, executive functioning deficits and/or other social learning challenges. “I cannot say enough wonderful things about this place and the staff. Chris and Erica are genuinely wonderful to work with and clearly care about the families in their programs. I would highly recommend this place to anyone”. “My 24 year old son has been attending the social group run by Chris Abildgaard at the Social Learning Center for the past few years. He eagerly looks forward to each group session and through the years, feels a real social connect with Chris, his staff and the other group members. The discussions and topics have helped him be more aware of how he can improve his social interactions in many situations.